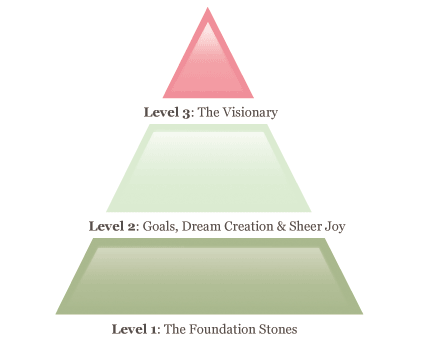 The Life Coaching Pyramid. Which level are you on? Life coaching starts with the basics. In order for us to reach our potential in any area of life we need to be sure the foundation stones of our world are securely in place. These are made up of met-needs, wants, healthy beliefs and getting clear of pain from the past. Until you eliminate the few wobbly stones the rest will feel unstable and will eventually tumble down. Don’t you wish that for yourself too?